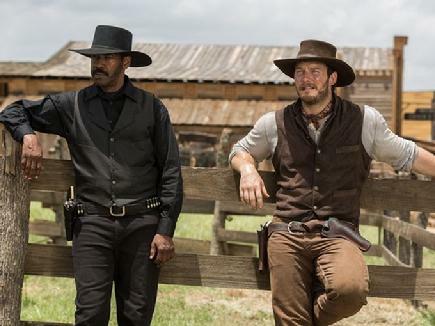 Carrico Belt and Holster on Timothy Olyphant as "Seth Bullock"
I am excited about the lastest movie to have been a small part of. I was hired as the Cavalry Advisor to help train the actors to ride as cavalry troopers. This included formations, drill, mounting and dismounting with a carbine! The actors all responded well and were eager to learn. 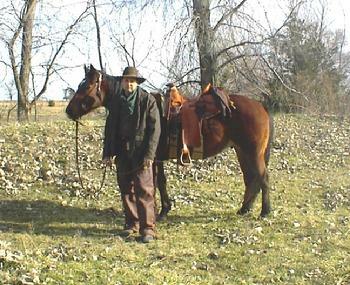 Most of the cavalry horse equipment is mine, including the rig used by Christian Bale. Christian was a quick learner, was always eager to learn more and wanted to do things right. 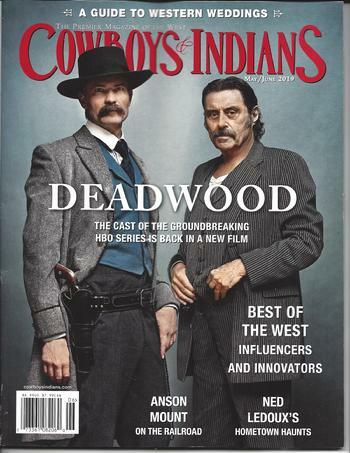 Please check out the trailer to "Hostiles". 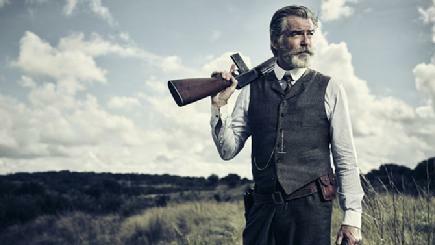 Watch The Son on AMC featuring Carrico belts and holsters! 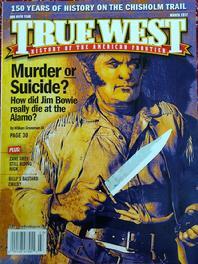 March Issue of "True West"
See some of my belts, holsters, saddles, and other leather gear in these upcoming shows! Watch "How it's Made" on The Science Channel December 12th, 8;00 C.S.T. 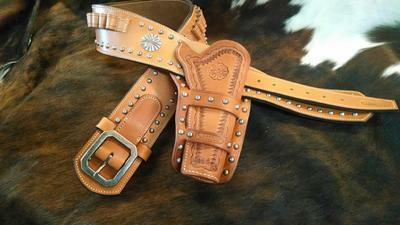 For a segment on Old West Holsters featuring Carrico's Leatherworks. I make a Double Loop Holster and Cartridge Belt. 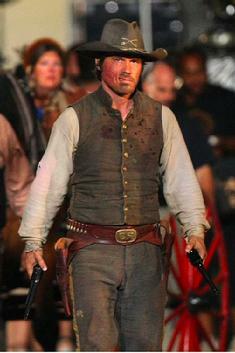 Josh Brolin as "Jonah Hex" wearing Carrico holsters! 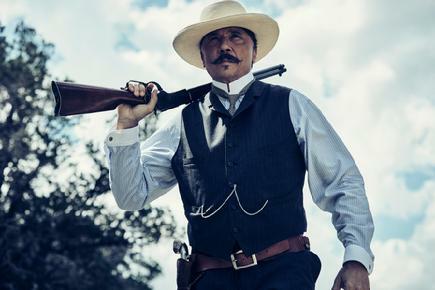 I was also the Cavalry Coordinator on the show. We recently purchased the remaining dies and patterns from "F.A. 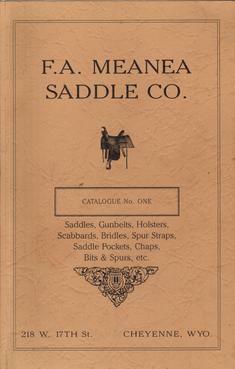 Meanea Company". We are now reproducing some of those items! Click on above catalog for more information! 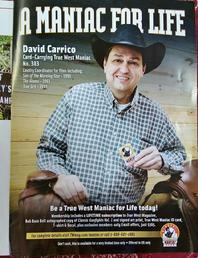 Thank you for coming to Carrico's Leatherworks. Most of the items which we offer are standard items from the Civil War, Indian War, or Old West Eras. If you desire a different style, color, or size, please let me know. Please understand that this equipment is handmade not mass produced. Please allow time for this. If I have it made and in stock, I will ship it promptly. However, most items take 6 to 8 weeks for delivery. I use the equipment that I build. I know what needs to be durable and comfortable as well as historically accurate as possible. 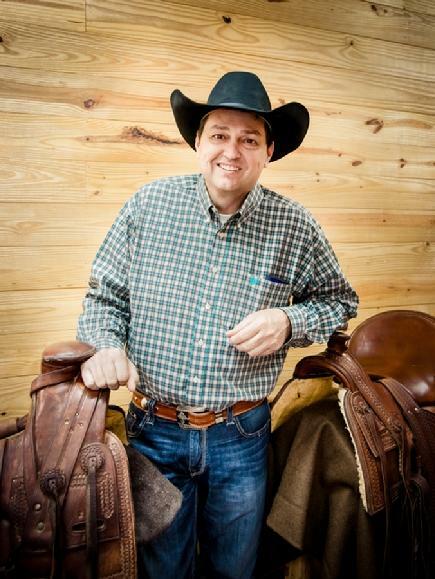 In this hobby, you will find or have found that there are those who sell horse tack and know nothing about it or make tack that is shoddy in workmanship or passed off as accurate for the period. Please ask for references, compare and ask questions before you buy. You will be glad that you did.